Andy and I first got to know the word ‘Aleph’ (pronounced as Ah-lef ) in November 2011 when he bought Paulo Choelo’s latest novel with the same title. The author recounted his experiences being in touch with this timeless and soul-ful state called Aleph. That got me really curious and envious that I started researching its meaning. I then became totally convinced that ‘Aleph’ should be part of our new business name, especially when Earth and humanity has started its journey back to the Void, to the state of Nothingness and Pure Potentialty where life shall be, once again, recreated. Below were the main research findings. Source of information indicated below. May you be the Alpeh that you have always been! Blessings, Ann. א Aleph (English pronunciation: /ˈɑːlɨf/) is the first letter of the Kabbalistic alphabet and symbolises the number 1. It means the origin, beginning, potentiality and the unity of all creations. Its form – upper stroke connected with a lower stroke through a dividing line – suggests an eternal link between the primeval source with everything that emanates from it. The symbol also contains within itself duality – Spirit and Matter; Heaven and Earth. On the human level, Aleph represents Divine Man. The Hebrew alphabet contains twenty-two letters or Authioth. Each letter (or auth) is a crystallization of one of the aspects of manifestation of the Divine. It is believed that these letters contain the precise plan of the principles of creation. Aleph, the first Hebew letter, stands for unity, origin, power and stability. The ox indicates plowing, the penetration of the earth (the female) by the plow (the male). It has a clear sexual meaning. The penetration can also be seen as the Divine Spirit descending into the primeval waters, which it penetrates and impregnates. The shape of the letter Aleph is made of two Yods divided by a slash which is actually is the sixth letter Vau . Yod is the primal vibration, the point of light out of which everything came. Emanation arose when the Divine Light, as Yod, mirrored itself into the lower world, hence the two Yods divided by a slash. The symbol suggests an eternal link between the primeval source with everything that emanates from it. As one who is composed by both the upper and lower realm of the earth, connected by the humility of the body, Aleph is a picture of the God-Man unity, or the Divine Man. Also known as “the beginning of the whirlings. In Kether, Source awakens, but does not yet know itself. There is no other from which to view itself. It means the divine breath. Aleph’s simple apparent value is 1. But its inherent hidden numerical value is 111 (Aleph + Lamed + Peh: 1 + 30 + 80 = 111). The number 111 contains the trinity; and it is also the constant of the magic square of six. 111 = 1 + 10 +100. In this sense Aleph contains the one in units, in tens and in hundreds. Symbolically this means that Aleph combines the divine, the spiritual and the physical world. Or, 1 is the Point, the Ain Soph Aur (= the Unlimited Light); 10 is the Tree of Life with its 10 Sephiroth (= the power vessels in which consciousness of the Universe expresses itself); and 100 is physical man in the physical world. With Aleph, we write many names, such as אלוהים Elohim, which is precisely the Hebrew word for Gods and Goddesses. The Hebrew word for God is ‘El,’ written with אAleph and ל Lamed. 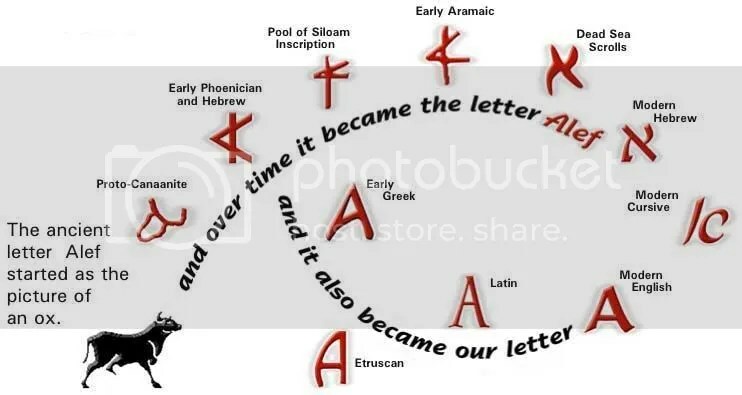 Other words written with א Aleph are Elah, אדם Adam and most of the names of angels end with אל ‘El’ (Aleph Lamed), like Samael, Zachariel, Orifiel, etc. You can easily find info on the internet about the mystically Divine letter, Aleph. Here are a few of the websites I checked out. The information you present is absolutely fascinating. Thank you for this insight! I mentioned about Aleph and Paulo Coelho. How the meaning of the term interested me in late afternoon just several hours ago.